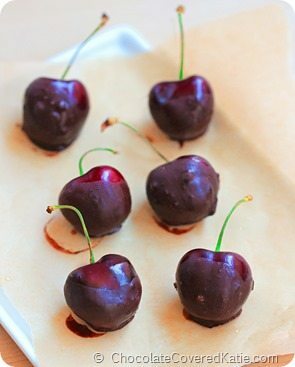 Chocolate Covered Cherries - in less than 5 minutes! 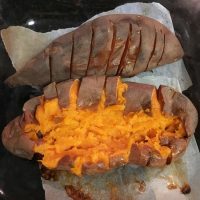 However, I receive requests from readers every day who ask if I can post more easy recipes—recipes that can be made without an oven, without a blender or food processor, recipes that don’t take all day to prepare and that don’t require a trip to the health food store for some obscure ingredient. 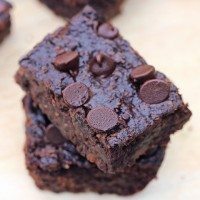 This is one of those easy recipes! The recipe is perfect if you have just five minutes and need to come up with a fancy dessert… or if you’re looking for a recipe that takes advantage of cherry season! 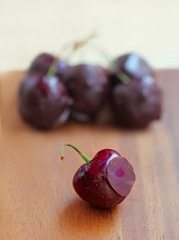 The sweet and vibrant cherries make for a stunning final presentation sure to impress your guests—I took about a million photos and had an incredibly difficult time cutting it down to my five favorites. And then I had an equally difficult time stopping myself from eating all the cherries before I could bring them to their destination. Luckily, the recipe makes a big batch. 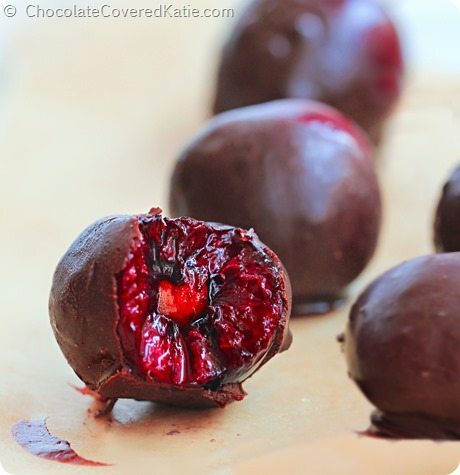 An excuse to eat more chocolate covered cherries! 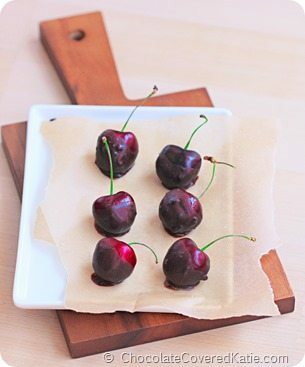 Chocolate Covered Cherries Recipe: Line a large plate with parchment paper, and set aside. Combine the liquid coconut oil and sweetener, then stir in the cocoa until a thin sauce forms. (If the sauce turns thick, gently heat it for a few seconds until it becomes thin.) 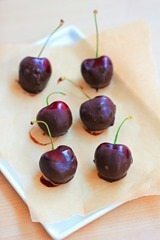 Holding the cherries by the stems or with a spoon, swirl each cherry around in the chocolate. 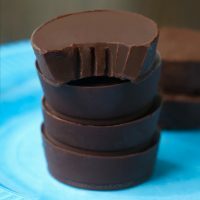 Place on the parchment-lined plate, and immediately refrigerate to set the chocolate shell. 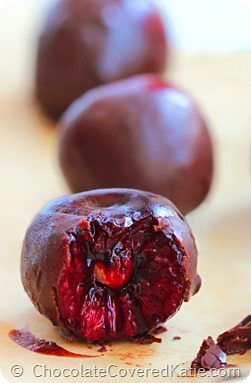 Due to the melty nature of the coconut oil, these chocolate covered cherries should be refrigerated until ready to serve. (Chocolate sauce makes enough to coat about 110 cherries.) 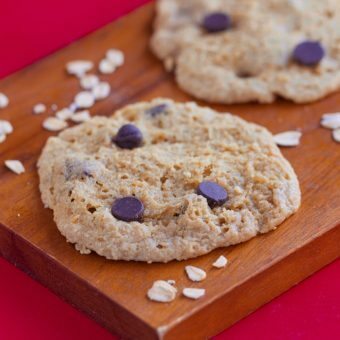 COCONUT-FREE VERSION: Carefully melt 8 oz chocolate chips with 1 tbsp shortening. (Spectrum brand is non-hydrogenated.) 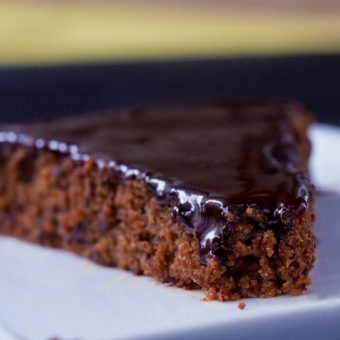 Proceed with the directions above, using this chocolate sauce in place of the coconut-based sauce. 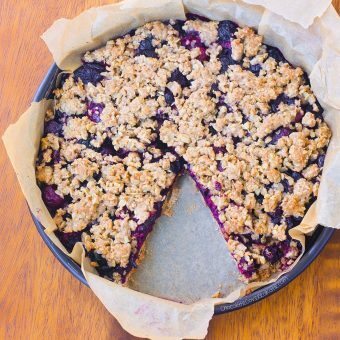 This version can stay out at room temperature for a longer period of time, but it’s still a good idea to refrigerate since the fruit is perishable. Do you prefer when I post quick and easy recipes with just a few ingredients? Or do you like the more-complicated recipes, such as the muffins, pies, and cakes? 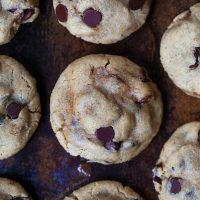 I will continue to publish a balance of easier and more-involved recipes but will take your feedback into account when deciding how many of each to post! Cherries are my favorite summer fruit. I can’t get them here in Barbados, but whenever I visit the states, I always buy a huge bag and eat them all day long! 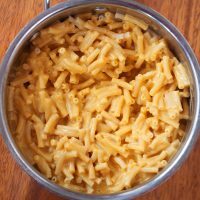 I’m visiting my parents in August so this will be a great easy recipe to try out during my stay. Thanks for sharing! I do like your easy and quick recipes. Some of the more advanced ones I don’t have all the ingredients and items needed to make it. 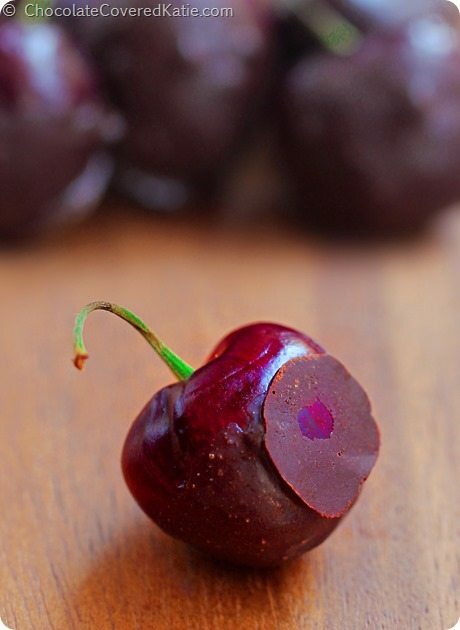 Chocolate cherries are so good so they are always a win in my book. Yes, that post is updated. Winner was Shirley. 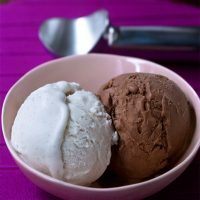 Looks yummy, but how can 1/2 cup of chocolate sauce, or 8 oz of chocolate chips, be enough to coat over a hundred cherries? That would be about half a gram of sauce per cherry. 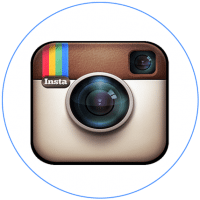 Generally I prefer the more complicated or involved recipes that you’ve posted. I like both the involved recipes, and the easy ones. The fancier ones are good for getting my toddler to eat healthier (healthy pop-tarts, pancakes, muffins, etc.) the others are good for when I want something quick and easy :-). 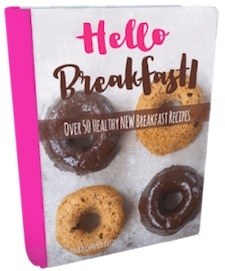 I love both the really involved and the simple recipes! I always love to try new things but I don’t always have time for the really involved recipes. I love the more complicated recipes because I love spending time in the kitchen. Thanks for all of your recipes Katie! The easier, the better 🙂 I like sophisticated recipes, too, but easy recipes are so enjoyable during busy days. Just a good little idea to sweeten the day – wonderful! I’m addicted to cherries and just purchased a pound, so, here I go! It’s the creativity that draws me to this chocolate covered corner of internetdom day after day. Four ingredients or fourteen — I don’t care as long as the finished concoction is something I wouldn’t find anywhere else. 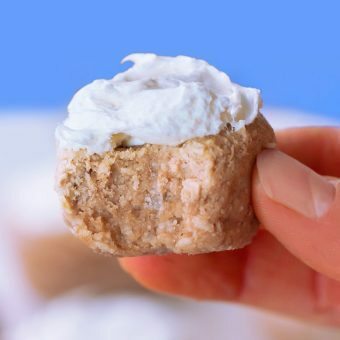 My favorite recipes have been for cookies, boatmeal, and the amazing cookie dough dip. So, baked goods would be my favorites, but simple can be quite nice sometimes too. 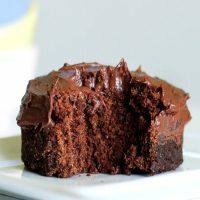 My least favorites are actually the copy-cat recipes. How you define same/similar is vastly different than how I do, so I’m often disappointed by the results. For me texture is often more important than flavor, so if the texture isn’t similar to the original I usually don’t like it much. Please keep sharing your wonderfully creative original creations with us. 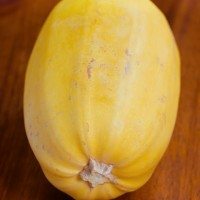 I would like to see more easy recipes. 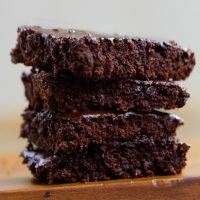 I’ve made tons of your recipes, and they have all tasted awesome, but I do find myself returning to the easiest ones most (and sometimes not re-making certain ones that require too much time or extra ingredients). Love all your hard work! 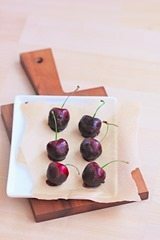 I love your quick recipes, and I love cherries! 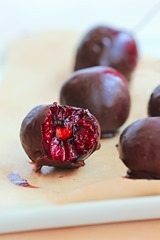 But I’m wondering why you couldn’t just dip the cherries into melted dark chocolate! It would be even quicker, and so delicious! 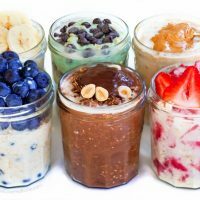 I really enjoy your more involved recipes… It’s really awesome to have your blog to turn to when looking for a healthy breakfast or copycat dessert recipe. 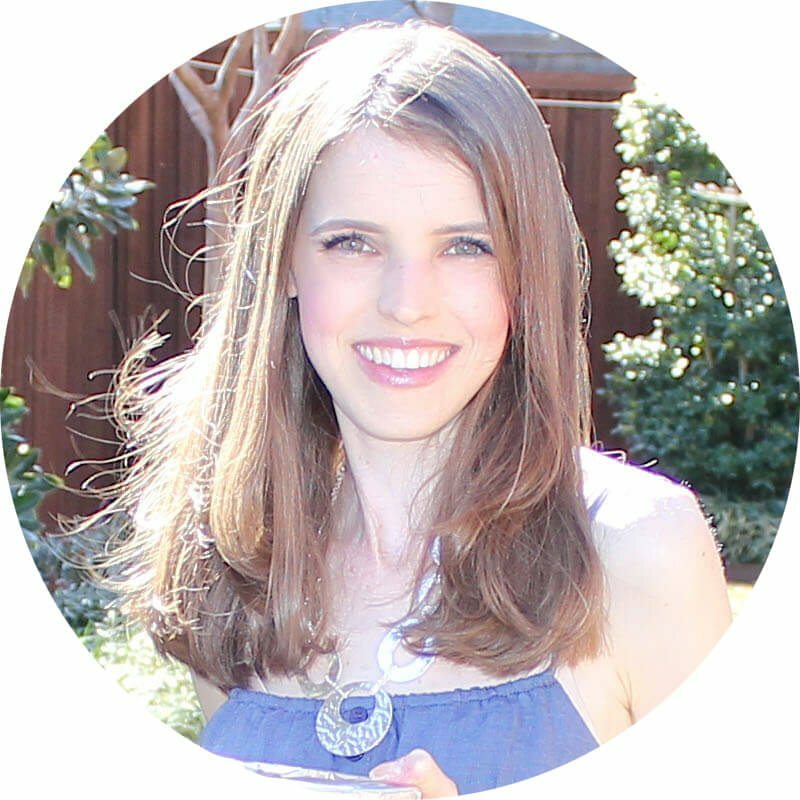 Knowing you’ve experimented with all the swaps and often even offer substitutions is what keeps me coming back! Can u use olive oil? I love easy recipes and I absolutely love chocolate dipped fruit – especially if that fruit has a nice stem to make the whole process even easier!